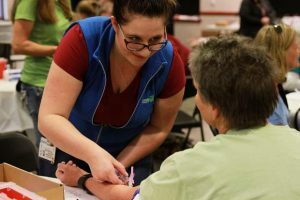 Glenwood Springs Middle School hosted a community service day in support of EL Education’s Better World Day on Friday, May 4. Students spent the entire day working in and out of the school on different community based projects. They took part in activities ranging from cleaning up the community parks to sewing and filling bags for local preschoolers. 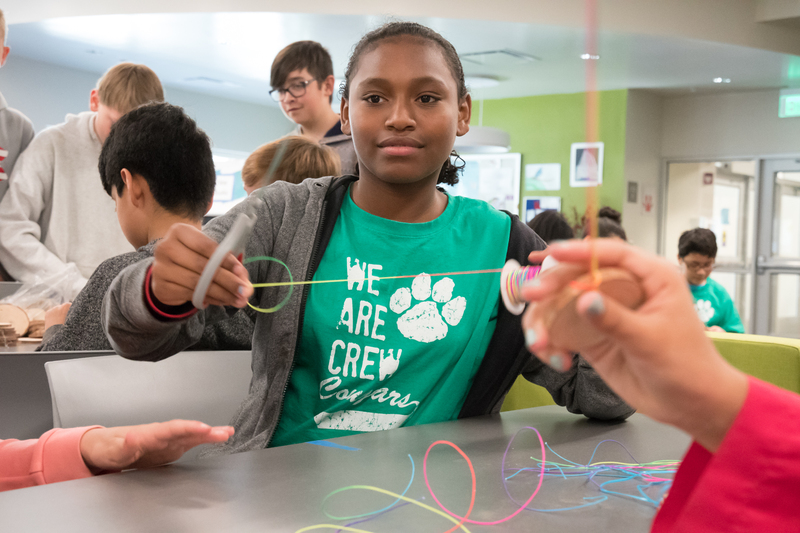 Participating in Better World Day with other EL Education schools throughout the nation is one of the ways GSMS has focused on community engagement as a new EL school this year. 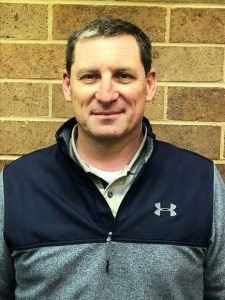 “We want to be kind and compassionate in the crew; super involved in the community; and have our learning be engaging and relevant and public,” said GSMS Principal Joel Hathaway. Sixth-grader Irene Hernandez works with other students to make name tags for the Roundup River Ranch. Seventh-grader Milla Montoya cleans the windows of Glenwood Spring Middle School during Better World Day. Seventh-grader Gaby Guzman cleans cars for free with other students during Better World Day at GSMS. 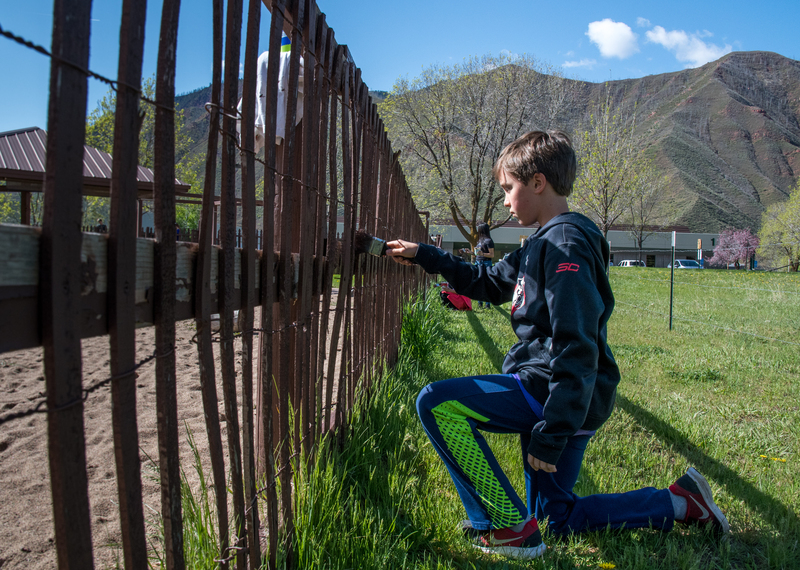 Sixth-grader Joshua Villasano repaints the fencing of the playground at the Glenwood Springs Montessori School. 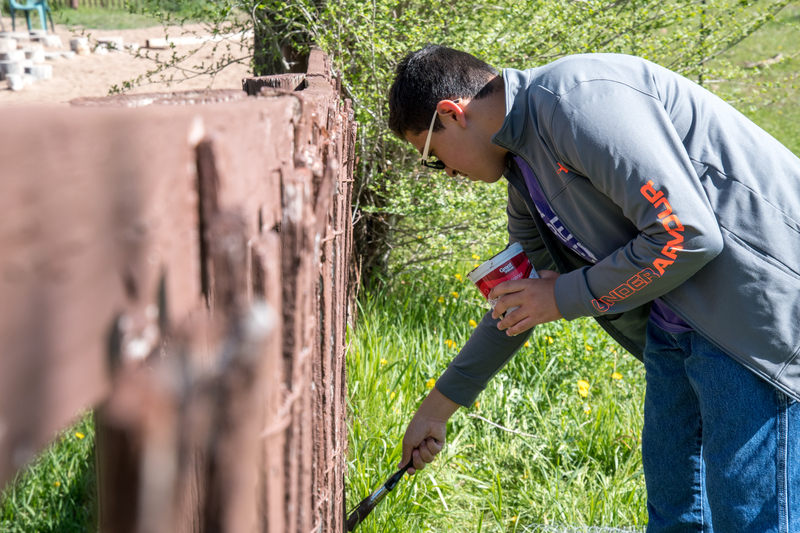 Seventh-grader Cole Geiger repaints the fencing with other students at the Glenwood Springs Montessori School on Better World Day. 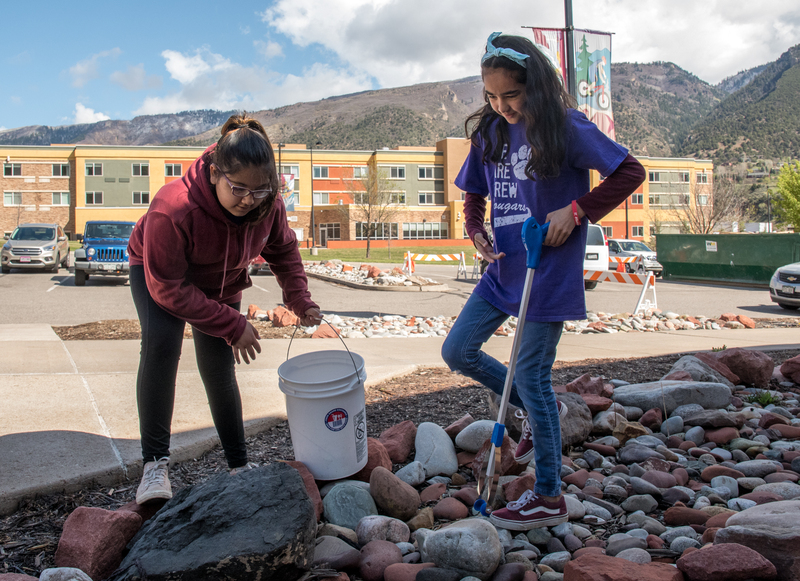 Sixth-graders Valeria Salcido and Bridgit Varela work together to pick up trash around the Glenwood Springs Community Center. 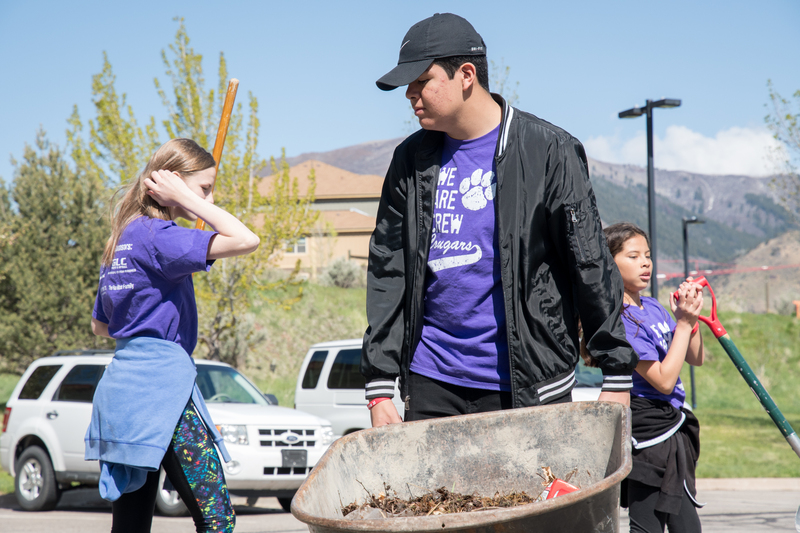 Glenwood Springs Middle School students Jerrerson Varigas, Alondra Meza, and Autom Bouden work together to clean up debris in and around the parking lot at the Glenwood Springs Community Center. 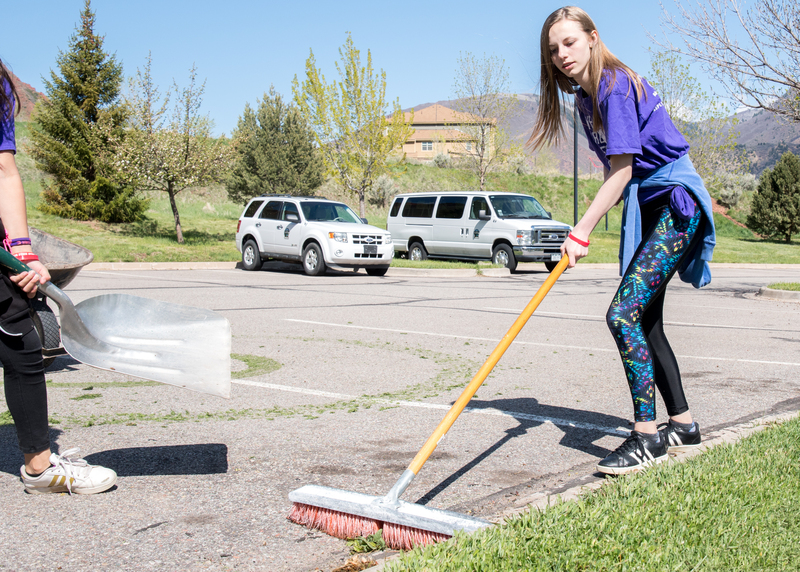 Seventh-grader Autom Boyden sweeps up grass and other debris in the parking lot of the Glenwood Springs Community Center. 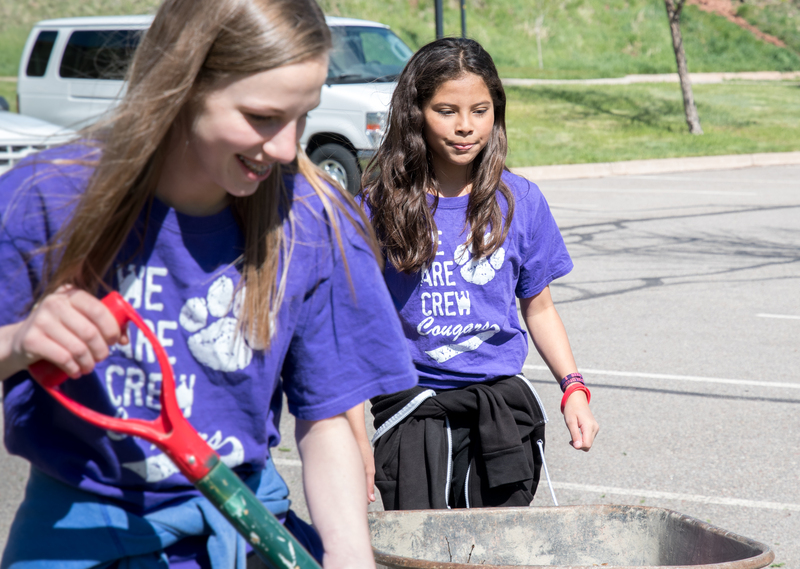 Sixth-grader Alondra Meza(back) works with Autom Boyden to clean up the parking lot of the Glenwood Springs Community Center. 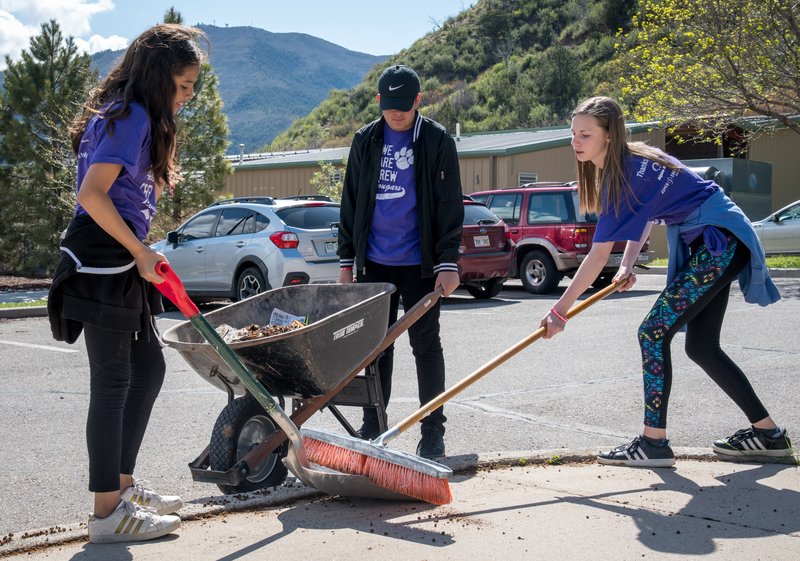 Eighth-grader Jefferson Varigas pushes around the wheel barrow while Alondra Meza and Autom Boyden sweep and shovel debris in the parking lot at the Glenwood Springs Community Center. 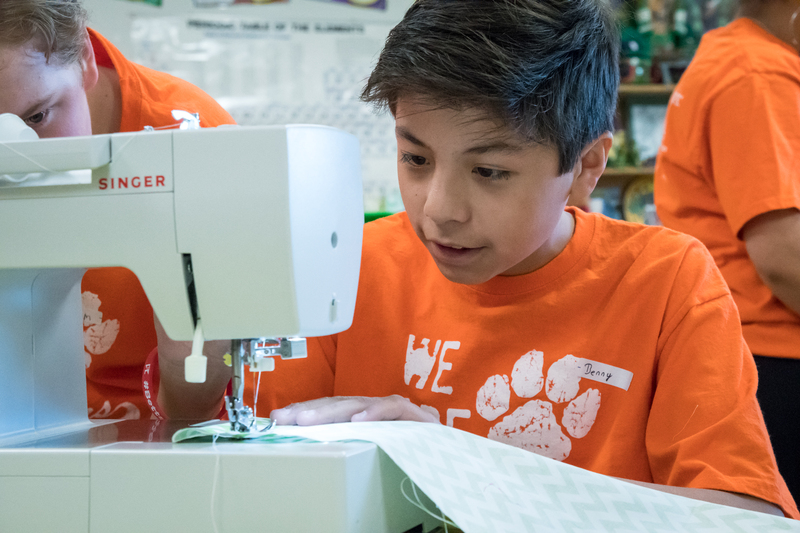 Sixth-grader Benny Fuentes works on sewing together a bag that will be filled with supplies for a local preschool student.